Seen at the end of the 19th century, this building was once the home of Karl Fuks. Fuks was a German transplant who became beloved in Kazan as professor, physician and scholar. One of his passions was amateur ethnographic study of the city's Tatar minority. 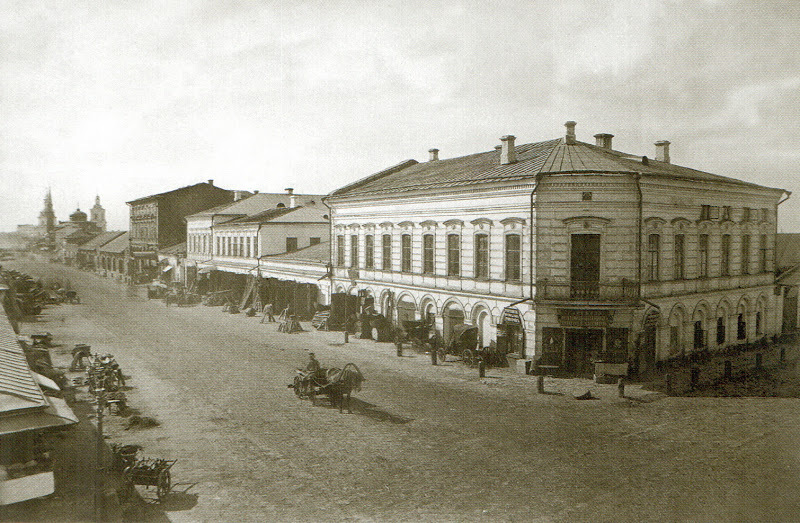 From this house on Haymarket square, located at the edge of Kazan's Tatar neighborhoods, Fuks made friends and observations that would form the basis of his later work on the subject. “The Fuks' Residence,” Kazan 19th c. - Urban explorations of a nineteenth century Russian provincial capital, accessed April 21, 2019, https://kazan19c.com/items/show/26.